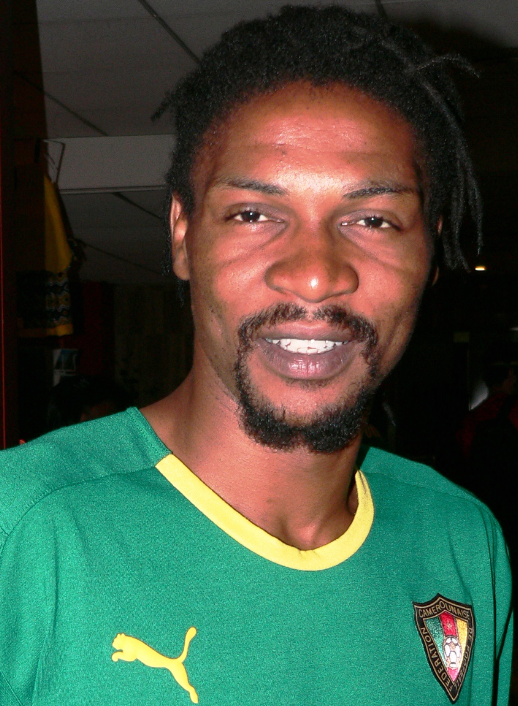 Cameroon’s charismatic and emblematic football captain, Rigobert Song Bahanag, is back in Cameroon after treatment at Pitie-Salpetriere in Paris. The former Liverpool player took ill in October 2016 when he suffered brain aneurysm and was hospitalised at the Yaoundé Emergency Centre where his condition stabilised before he was flown to Paris. Returning Saturday, he was received by Doh Bobga Macias, Representative of the Minister of Sports and Physical Education at the VIP hall of the Yaoundé Nsimalen Airport and warmly hugged by family members. Bernadette Song, Rigobert Song’s mother, was elated seeing her son. “To be here to celebrate the return of Song, I am overwhelmed with happiness. I joked that he left like a passenger without a ticket, but today he has come back on his feet. I thank Cameroonians and the Presidential couple for loving him so much”. He said the reception reminded him of the good old days when he came back with the team to a hilarious welcome. Many Cameroonians doubted Song’s return set for April 1, a day when lies are permitted. “This is not ‘April fool’, in reality, I am here. Having left Cameroon under conditions you all know, today I am back, by the grace of God. “My appreciation to the Presidential couple who did everything for me to came back to the people who have always supported me. “To come out of a heart issue without a scar, I am thankful to God and the Cameroonian people. I am healthy, thanks to the doctors, I underwent three aneurysm operations. The doctor who operated him said: “This is the first time a patient with three ruptures, who spent three days in hospital before being airlifted, survives after eight days. This was God’s wonders”. Lots of fans came to welcome the 2000, 2002 champion and he waved eagerly at them. “I am short of words, I wonder if ‘thank you’ is enough for all the Cameroonians, but all I can say is, thank you. Cameroonians prayed for ‘Manyang’ to come back and visited him in hospital and told him, ‘come back, it is not time to die’, and for that Song remains grateful. Following a series of tests and controls, the coach of the amateur Lions is ready to get back to work and already has a programme in mind. “After the control I was told I could start my work, I will start preparing the CHAN set to take place in four months.